By far the best snickerdoodle recipe I’ve found, these classic snickerdoodles are thick and chewy and full of cinnamon sugar flavor! I love snickerdoodles. 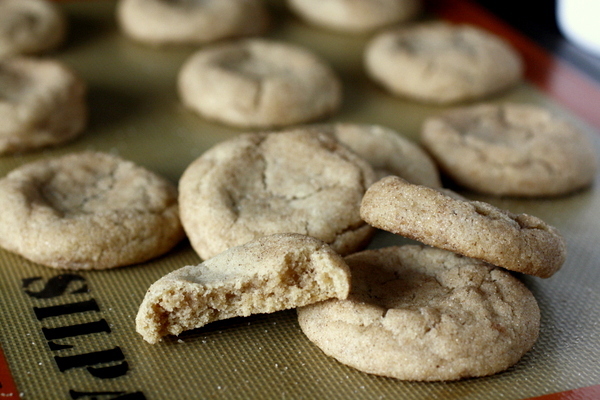 They are such a classic cookie, and who doesn’t love a cookie coated in cinnamon sugar? Don’t get me wrong, I love all things chocolate and over-the-top (see these twix cookies and these ultimate andes mint cookies), but sometimes I just want a nice simple classic cookie. 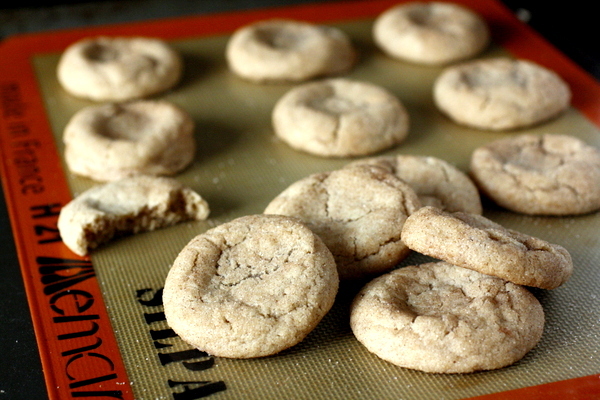 This recipe makes the best snickerdoodles I’ve ever had. The cookies are thick and soft and perfectly puffy. They have the slightest crispness as you bite into them, but the rest of the cookie is nice and chewy. 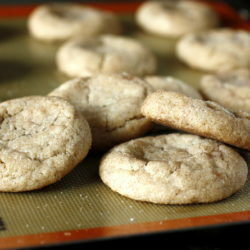 They are snickerdoodle perfection! 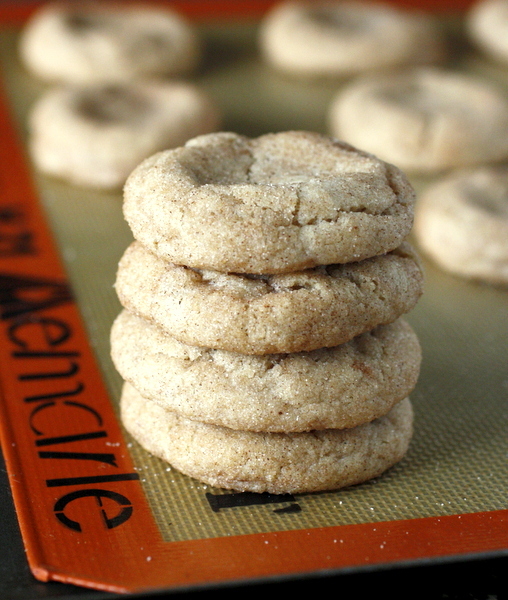 Even better, this is one of the simplest cookie recipes out there. The dough comes together very quickly and it doesn’t require any chilling before you start baking. Plus you probably have all the ingredients on hand already to make them! (The one exception might be cream of tartar. Please don’t skip this, you need it for that classic snickerdoodle flavor). 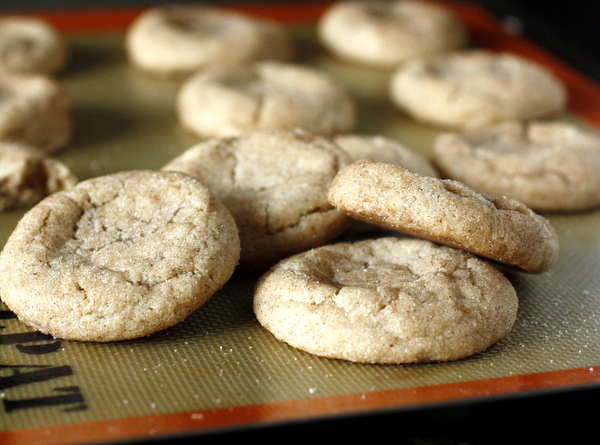 You are going to love these snickerdoodles. They certainly didn’t last long around our house! By far the best snickerdoodle recipe I've found, these classic snickerdoodles are thick and chewy and full of cinnamon sugar flavor! Preheat oven to 375°F. Line two large cookie sheets with parchment paper or silicone baking mats and set aside. Make the topping: Combine the granulated sugar and cinnamon together in a small bowl. Set aside. In a large bowl, beat the butter and granulated sugar together on high speed until smooth and creamy, about 2 minutes. Add the egg and vanilla extract. Beat on medium-high speed until combined. Scrape down the sides of the bowl as needed. With the mixer running on low speed, slowly add the dry ingredients to the wet ingredients in 3 different parts. The dough will be thick. Roll cookie dough into balls, about 1.5 Tablespoons of cookie dough each. Roll the dough balls in the cinnamon-sugar topping, sprinkling extra cinnamon-sugar on top of each cookie if desired. Arrange 3 inches apart on the baking sheets. Bake cookies for 10-12 minutes. The cookies will be very puffy and soft. When they are still very warm, lightly press down on them with the back of a spoon to help flatten them out. Allow cookies to cool on the baking sheet for 10 minutes and transfer to a wire rack to cool completely.